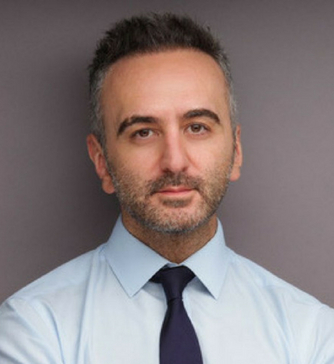 Anthony Kupelian is a Consultant Obstetrician and Gynaecologist, and accredited Subspecialist in Urogynaecology. He is Clinical Lead for the Urogynaecology and Pelvic Floor Unit at University College London Hospitals (UCLH). He has received advanced training in laparoscopic ‘key hole’ urogynaecological surgery but offers a wide range of surgical and non-surgical treatments for incontinence, prolapse and other pelvic floor problems, including symptoms that develop after childbirth. He is a strong advocate of evidence-based, individualised, and patient-driven care. Anthony has extensive clinical and research expertise in the management of recurrent urinary infection (UTI), which forms a significant part of his practice. He also provides care for patients with multi-system pelvic symptoms, including pelvic pain, often a consequence of surgery or childbirth, infection, inflammation, hormonal influences, and changes in nervous system function. Anthony was awarded the undergraduate degrees of Bachelor of Medicine and Bachelor of Surgery (MB ChB) with Commendation in 1999. He completed higher specialist training in North West London and was awarded membership of the Royal College of Obstetricians and Gynaecologists (MRCOG) with Presidential Letter of Merit in 2009. Anthony was appointed as a Senior Research Associate at University College London (UCL) in 2010 and was later awarded the degree of Doctor of Philosophy (PhD) for his work on recurrent urinary infection and chronic bladder symptoms. He then secured a subspecialty fellowship in urogynaecology at UCLH, where he developed advanced skills in laparoscopic urogynaecological surgery, and secured RCOG subspecialist accreditation in urogynaecology. Anthony is a committed teacher within UCL and UCLH. He is an invited speaker at national and international congress, and regular contributor to surgical masterclasses in urogynaecology and female urology. He remains an active researcher and named investigator on ULCH and national portfolio studies. He continues to publish in his specialist areas, and has presented widely at scientific congress.